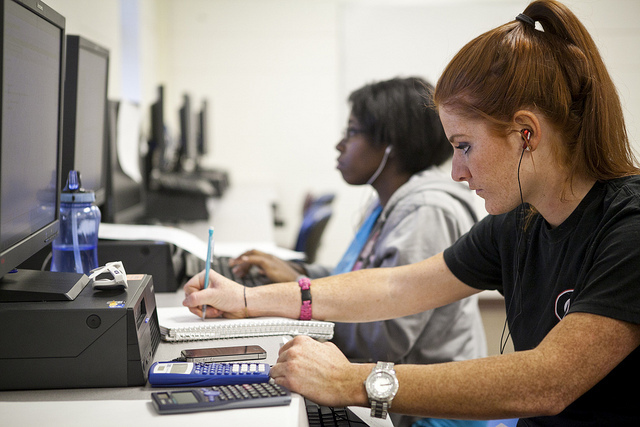 Georgia Southern University’s online programs have again been recognized for excellence in rankings released by U.S. News & World Report for the best online programs among colleges and universities across the country for 2018. Georgia Southern ranked just above the top 100 for 2018 Best Online Bachelor’s Programs, tying with 10 other universities for the 115th spot out of nearly 350 ranked institutions. U.S. News considers students enrolled in these ranked programs likely to be working professionals in their 20s to 40s looking to advance or change their careers, so the rankings are determined by factors that weigh how these programs are being delivered and their effectiveness at awarding affordable degrees in a reasonable amount of time. More than 260 schools were ranked for 2018 Best Online MBA Programs, and Georgia Southern University once again placed in the top 50. U.S. News ranked online MBA programs using categories such as student engagement, admissions selectivity, peer reputation, faculty credentials and training, and student services and technology. Among the 158 listed schools recognized for 2018 Best Online Graduate Business Programs, Georgia Southern also ranked in the top 50, tying with one other university for the 48th spot. Georgia Southern was ranked No. 62 for 2018 Best Online Graduate Education Programs and No. 33 for 2018 Best Online Graduate Information Technology Programs. U.S. News collected ranking data through October 2017, and Armstrong State University, which consolidated with Georgia Southern University on Jan. 1 of this year, ranked No. 46 in the nation for the 2018 Best Online Graduate Criminal Justice Programs. Rankings are based on factors such as admissions selectivity, faculty credentials and academic and career support services offered to students.